I've been building custom, interactive web sites since 1995 (20+ years!). You would be hard-pressed to find anyone with a longer track record in the field of web development. Over the years I've developed a wide variety of custom web applications, including: e-commerce, content management and contact management systems. If you can imagine it, I can most likely build it. I'm also very familiar with many 3rd party applications such as WordPress and Magento Commerce. Over 60% of web searches now take place from a mobile device. With this in mind, I take a "mobile first" approach when building any web site. All new web site projects utilize a responsive layout that will scale to fit any screen size. With a strong focus on security and speed, I manage several Linux-based cloud servers which can easily scale up or down to suit virtually any domain hosting need. I also provide affordable hosting reseller services that can give other web developers a way of easily managing all of their own domains and email accounts. 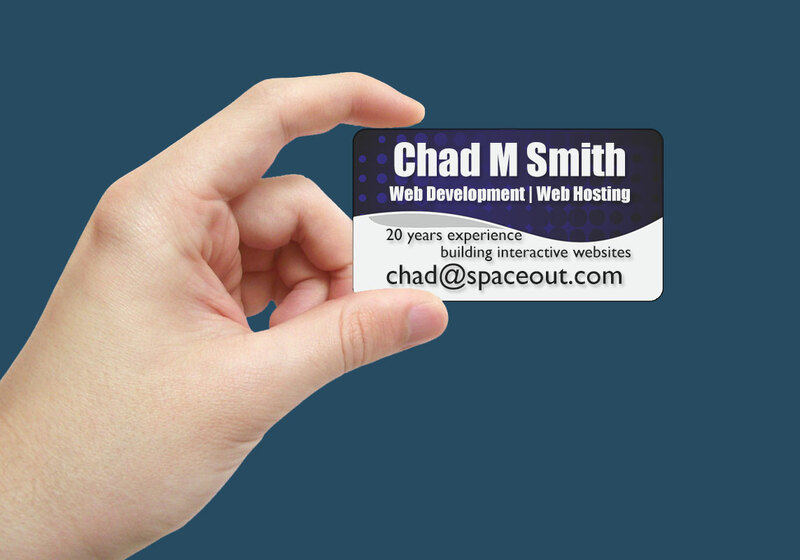 For more information, contact me anytime at chad@spaceout.com with any questions.